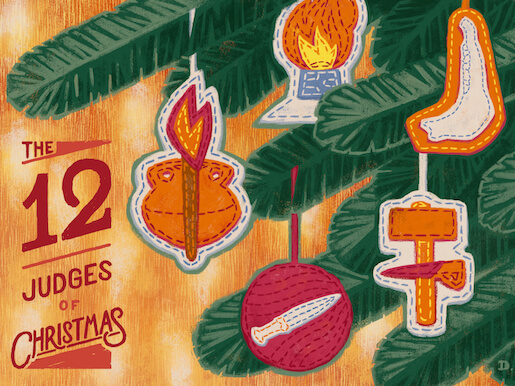 This second Sunday of Advent, at all three services (9:00 at Holton, 10:00 at The Fourhundred, 11:00 at Holton), Robert Greene will be continuing in our sermon series on the book of Judges. His text will be Judges 6:1-40. If you missed part 2 of Judges 4:1-5:31 last week, you can listen to the message here. Veiled in Darkness Judah Lay by Douglas L. Rights, Joseph Parry, Isaac Wardell, and Mason Neely. You can read more about this hymn here. He Who Is Mighty by Kate DeGraide and Rebecca Elliott. God Rest Ye Merry Gentlemen. What Child Is This? by William Chatterton Dix. Prepare Him Room by Dave Fournier and Rebecca Elliott. O Come, All Ye Faithful by C. Frederick Oakeley and John Francis Wade.